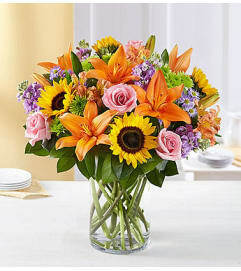 Toast the carefree days and party-filled nights of Summer with our Sunset on the Beach™ Happy Hour Bouquet®. 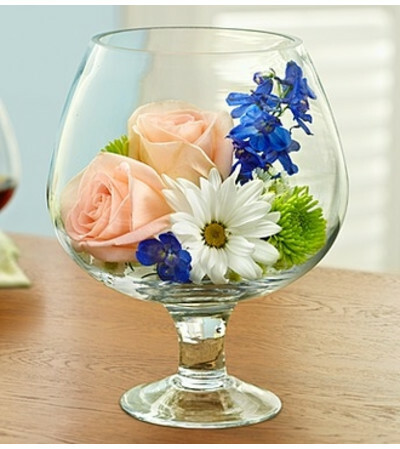 Inside an oversized brandy glass, your special someone can enjoy an intoxicating mix of roses, delphinium and poms, artfully hand-crafted and inspired by the refreshing tropical cocktail. 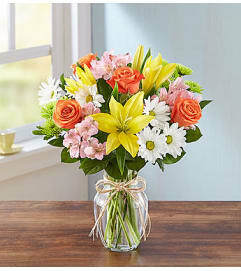 Afterwards, they can reuse the snifter to hold seashells, collectibles or to display more gorgeous blooms.